I have been participating in these Sketch Layout Challenges set by my friend over at A Christy Production. As I am fairly new to Stampin' Up! and am still building my supplies, I used Daffodil Delight instead of Crushed Curry - but you can hardly tell! 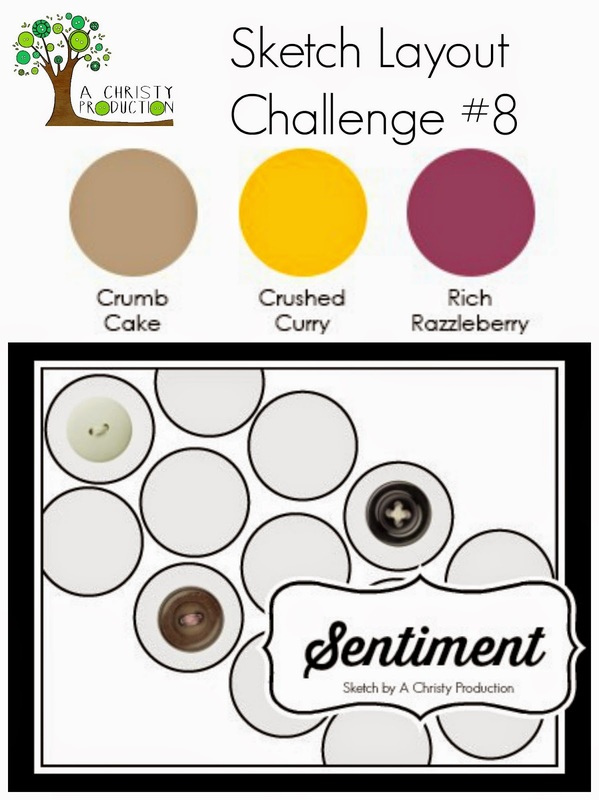 I used my 1-1/4 inch circle punch for the circles, using Daffodil Delight card stock and DSP, Rich Razzleberry and Crumb Cake card stock. 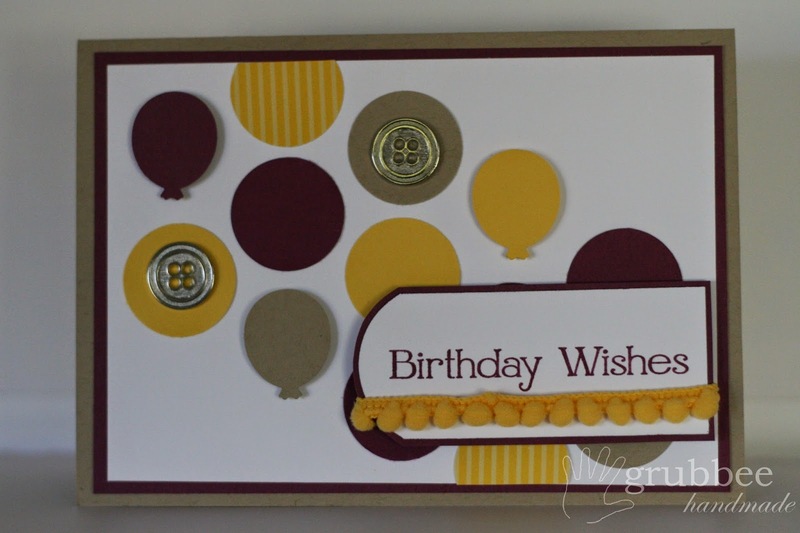 I have also used a balloon punch (not Stampin' Up!) which I just LOVE! They are secured with dimensionals to give the card a bit of a lift. I have used 2 silver buttons and some Daffodil Delight pom poms. The Birthday Wishes sentiment is from the Four You stamp set and is stamped with Rich Razzelberry. 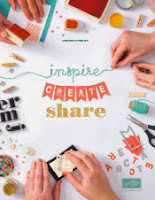 I love these challenges because half the work is already done for you - the layout and the colours! All that's left to do it find a little bit of creativity. I am starting to find my groove, but still have a ways to go. Check out the rest of the great card designs HERE.